Handcrafted from Seasoned Sheesham Wood. Product Size: According to customer need. 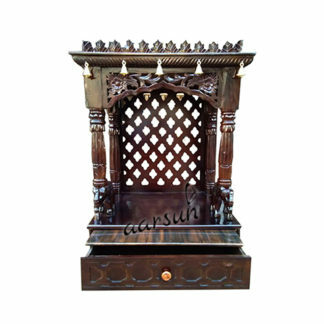 Wooden Pooja Cabinet for Home and Office, Seasoned Sheesham Wood. Product Size: According to customer requirement.